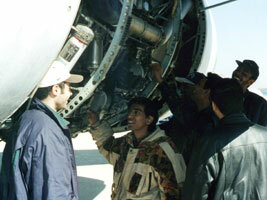 The MSTUCA graduates can work not only in Civil Aviation but in any industry and transport. The University has creative links with many foreign educational establishments and trains foreign students from 30 countries. The University chairs are headed by experienced scientists - educators, many of them being widely known both in Russia and abroad. 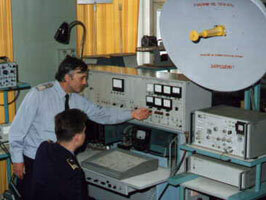 Training and research laboratories are equipped with modern computers, instruments and devices, stands, models, simulators, working models of aviation equipment, technical training and knowledge test aids. This makes it possible to conduct classes and carry out scientific work at the up-to-date level of science and technology. technological processes and productions safety (on air transport). a "master's" diploma (6 years of training). The University has a training airfield and radiofield equipped with modern aircraft and radar equipment where classes are conducted under conditions close to real ones. MSTUCA arranges production practice for students at base enterprises of Civil Aviation - plants, airports, scientific-research institutions of Civil Aviation. The University computer network includes display class-rooms for group and individual classes of students, the library information system, automated work places of scientific-research and managerial subdivisions, a software-hardware complex enabling the users to use external computer networks. Russia. Comfortable reading-halls with an electronic catalogue and xerox are available to readers. MSTUCA is a major research center. Here fundamental research and design work on the problems of safety of flights, mainte­nance and repair of aviation equipment, radiolocation and air traffic control, commercial operation of air transport, management of aviatransport enterprises, methodology of higher education is car­ried out to the benefit of Civil Aviation and other industries. Students' scientific-research groups are set up and work successfully at the University. There students improve their theoretical knowledge, acquire practical skills by engaging in the designing and construction of aircraft, in the develop­ment and updating of aviation equipment and radioelectronic systems. Contests and scientific-technical conferences of students are held on a regular basis at the University. The best works are recom­mended for Russian and international contests of students' scientific works. The students of the University very often are prize-winners and laureates of such contests. The University has a sport complex and many sport clubs. The sport complex includes a track-and field stadium and a football field, special gyms for sporting games, tennis courts, a skiing base and functional rehabilitation complex. The University teams and athletes have repeatedly become champions and prize-winners of Russia and Moscow. The spacious movie-concert hall equipped with modern cinema and video projection equipment, acoustic and illuminating systems, rehearsal premises provide good conditions for amateur activities, movie-lectures, concerts of masters of art and popular musical groups. The MSTUCA has a dormitory located in a park zone, not far from the University and metro station. The students live in rooms for 1 or 2 persons. There are good conditions for studies. On winter and summer vacations the students of the University can have a rest at boarding-houses and rest-homes. 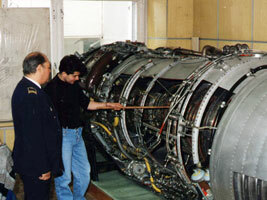 i am studying aircrfat maintenance engineering in india.it is going to finish on august 2013.i want to study furthermore.so i want to know how to do post graduation in russia.which university is best.i got 94% in 12th class and in aircraft maintenance engineering 88%.i want to know the post garduation degress related to aircraft maintenance engineering. please advice me how to do and provide me full details along with fee structure. I HAVE COMPLETED MY BE ON AERONAUTICAL ENGINEERING,I WOULD LIKE TO DO MS IN RUSSIA,PLEASE SUGGEST ME WHICH UNIVERSITY I HAVE TO CHOOSE ON WHICH FIELD? I want to study aviation but don't know how to apply. i want to study it in your university but does it require English test if it is required then i also have IELTS.